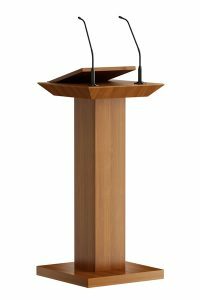 Stylish wooden lectern with sleek lines. 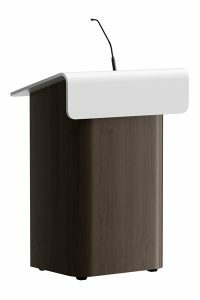 The inclined reading surface has a paper stop and enough space for paper or tablet under the shock mount. Optional available is a LED reading light with switch. 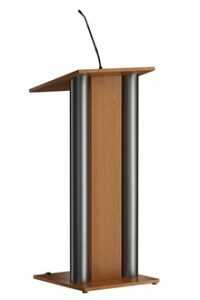 The lectern has castors on the speakers’ side and leveling feet on the front. 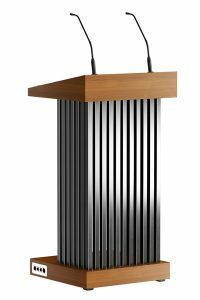 On the speakers’ side of the lectern is a shelf for extra storage space.